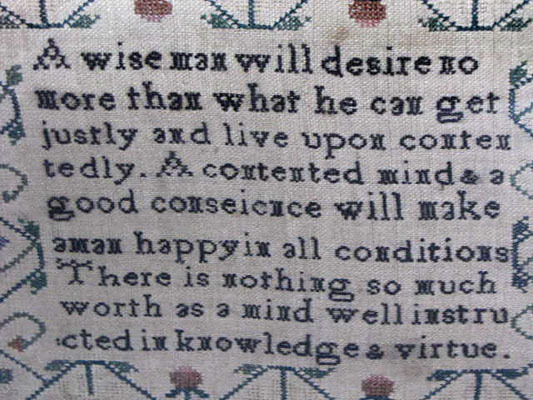 Sampler with numerals and letters made by Elizabeth Dawson Aged Fourteen dated 1812 with great verse what a wise man will do. Check the photos to read complete verse. Framed size 15" x 11 ¼". 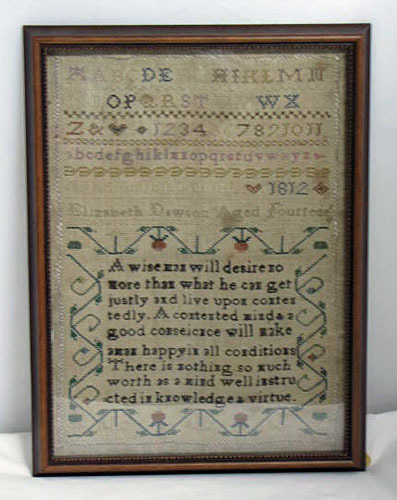 Nice early sampler at a very reasonable price. More photos can be sent.